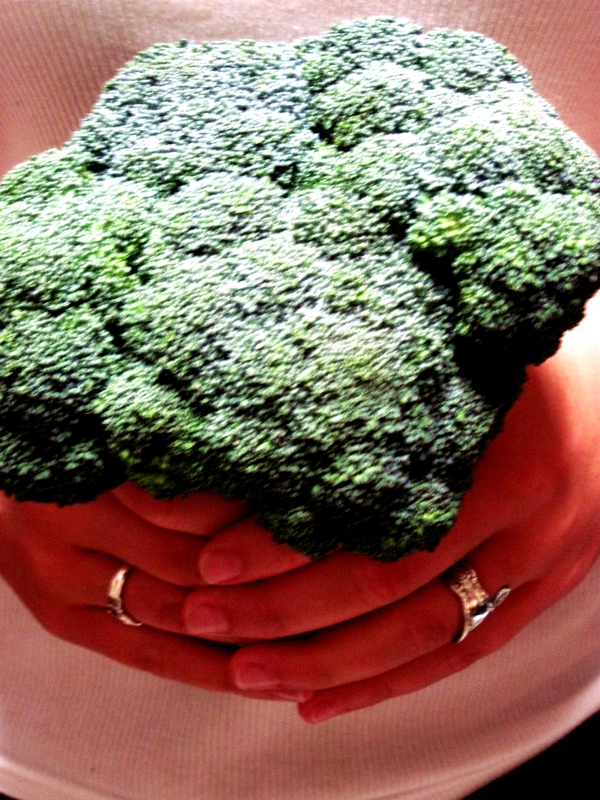 Unlike steamed broccoli, this broccoli maintains its crispy integrity while keeping that cooked tenderness that I adore. I don’t know what else to say. 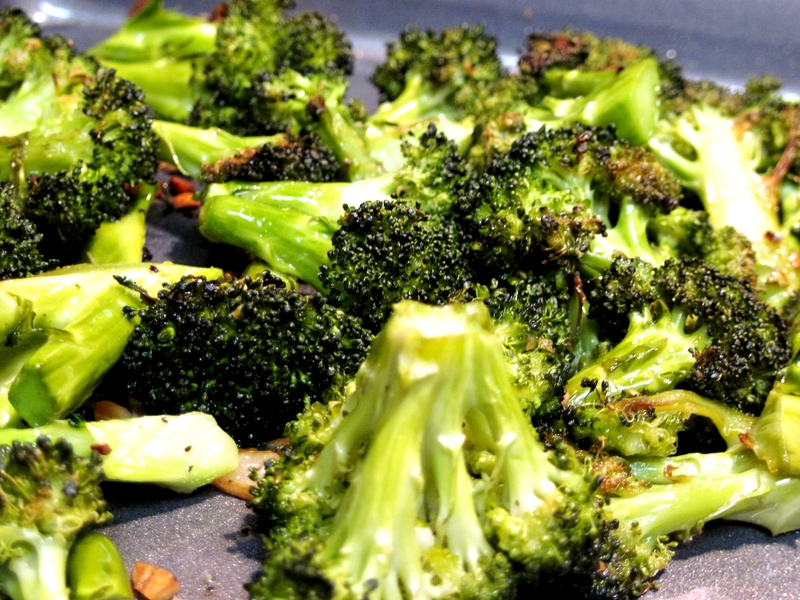 Roasted broccoli is delicious–divine, even. It’ll make a broccoli believer out of you. 1) Cut broccoli into similarly-sized pieces and place evenly in one layer on baking sheet. 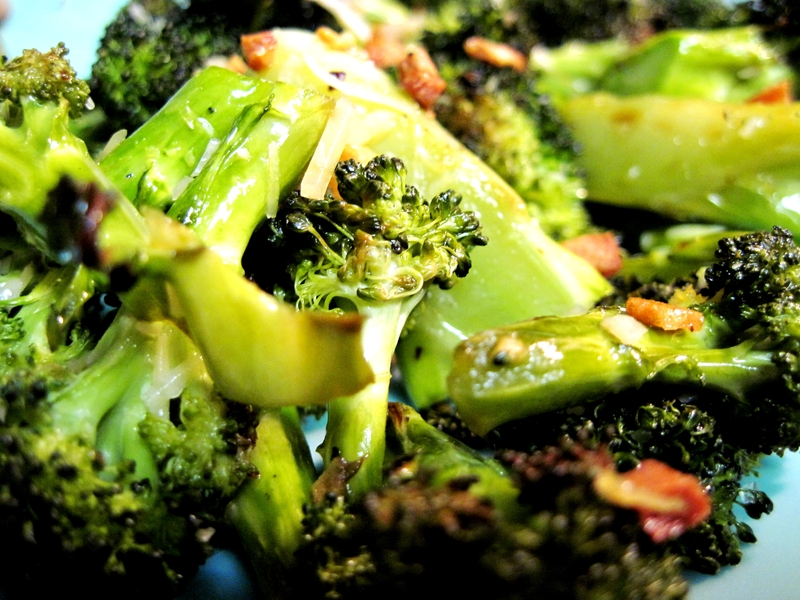 2) Drizzle olive oil over the broccoli, then sprinkle minced garlic on top. 3) Season with salt and pepper as desired. 4) Roast for 10 minutes at 400 degrees. Remove from the oven and stir, then roast for another 10 minutes and remove from the oven. 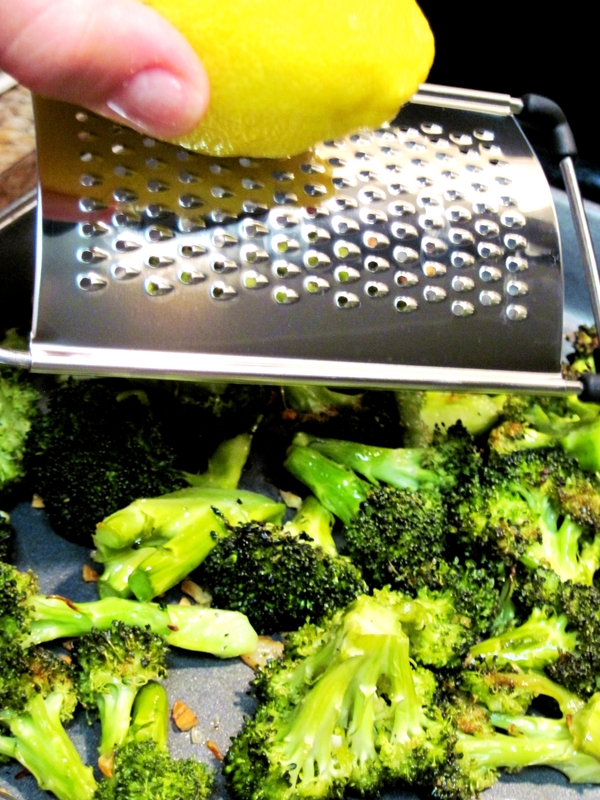 5) Zest lemon over the broccoli, then sprinkle with lemon juice and parmesan cheese. What’s your favorite way to eat vegetables? This entry was posted in side dishes and tagged broccoli. Bookmark the permalink. Looks delicious. 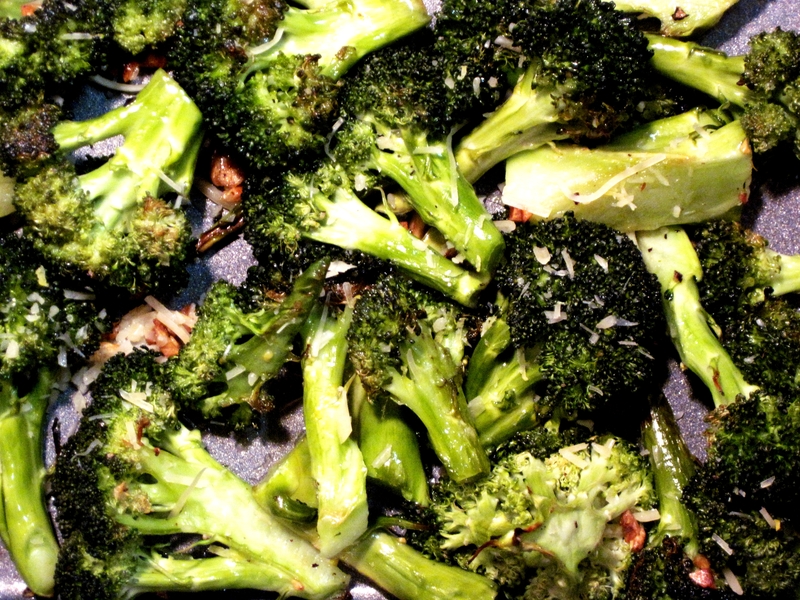 Roasted broccoli is definitely a favorite. Yeah, people don’t think about roasting broccoli — but you are right, it gives it a deeper, smoky flavor while maintaining a nice inner crunch. So much more interesting that steaming or par-boiling. And the garlic of course puts it over the top! Looks so good. This looks like the most delicious thing ever! !